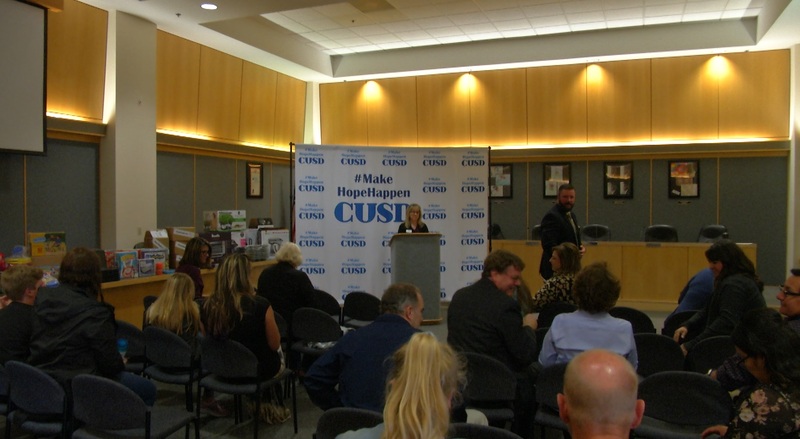 The Castaic Education Foundation announced the 2018-2019 grant recipients and presented the items purchased in accordance with their grant requests at its First Annual Grant Award Ceremony on Wednesday, March 20, 2019, in the Castaic Union School District Board Room. In addition to the grant ceremony, community partners and past directors were honored for their support and contributions. Since 2007, the Castaic Education Foundation has awarded approximately $200,000.00 to teachers for technology, flexible seating, outdoor play equipment, interactive classroom tools, 3-D printers, virtual reality software, musical instruments, items to support Career Education at Castaic Middle School, and much more.